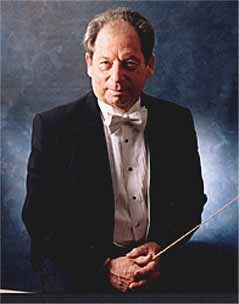 Joel B. Lish, founder and Music Director of the Palisades Symphony, received his Master's degree from the Los Angeles Conservatory of Music, where he studied viola performance and conducting. His career in teaching and conducting has led him to work with the performing organizations of all age groups, and he has established numerous programs for both students and adults. For many years he was the Chair of the Music Department at Pacific Palisades High School. A professional violist, Joel Lish also actively performs casual, chamber, and orchestral music with a number of ensembles throughout the Los Angeles area, teaches in his studio, and participates in film studio recordings.